Service to lepers became his ideal. He would build them huts on the vast lawns of his home and look after them as though they were deities. Later, after he joined the Ashram (hermitage), this early trait found in him complete and free expression where even the best among men would seldom venture into this great realm of divine love, based upon the supreme wisdom that all are one in God. Patients from the neighbourhood, suffering from the worst kind of diseases came to him. To Sridhar Rao the patient was none other than Lord Narayana Himself. He served him with tender love and compassion. The very movement of his hands portrayed him as worshipping the living Lord Narayana. Nothing would keep him from bringing comfort to the suffering inmates of the Ashram, no matter what the urgency of other engagements at the time. Service, especially of the sick, often brought out the fact that he had no idea of his own separate existence as an individual. It seemed as if his body clung loosely to his soul. Nor was all this service confined to human beings. Birds and animals claimed his attention as much as, if not more than, human beings. He understood their language of suffering. His service of a sick dog evoked the admiration of Gurudev. He would raise his finger in grim admonition when he saw anyone practicing cruelty to dumb animals in his presence. His deep and abiding interest in the welfare of lepers had earned for him the confidence and admiration of the Government authorities when he was elected to the Leper Welfare Association, constituted by the state - at first as Vice-Chairman and later as Chairman of The Muni-ki-Reti Notified Area Committee. The final decision came in 1943. He was already in correspondence with Sri Swami Sivanandaji Maharaj of Rishikesh. 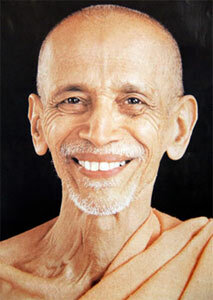 He obtained Swamiji's permission to join the Ashram. On arriving at the Ashram, he naturally took charge of the dispensary. He became the man with the healing hand. The growing reputation of his divine healing hand attracted a rush of patients to the Sivananda Charitable Dispensary. Very soon after joining the Ashram, he gave ample evidence of the brilliance of his intellect. He delivered lectures, wrote articles for magazines and gave spiritual instructions to the visitors. When the Yoga-Vedanta Forest University (now known as the Yoga-Vedanta Forest Academy) was established in 1948, Sri Gurudev paid him a fitting tribute by appointing him Vice-Chancellor and Professor of Raja Yoga. During his first year he inspired the students with his brilliant exposition of Maharishi Patanjali Yoga-Sutras.